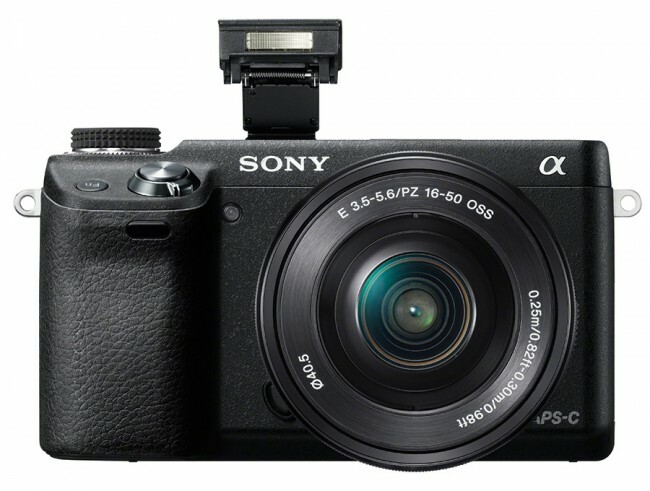 In addition to the NEX-F3 and NEX-5R with APS sensor, Sony introduces the Sony NEX-6, which is in its features are very close to the flagship mirrorless NEX-7. Technically, the device is similar to the NEX-5R, includes the same 16.1-megapixel CMOS-sensor Exmor APS HD format APS-C (23.5 x15.6 mm), a hybrid Autofocus Fast Hybrid AF (99 focusing points in the phase detection autofocus and 25 points focusing with contrast), the module Wi-Fi and the ability to download applications. The main difference is in the quality electronic viewfinder XGA OLED Tru-Finder (2,359 K dots) and ergonomics, close to the SLR with a large number of hardware controls. Sony NEX-6 has a built-in 3-inch LCD Xtra Fine LCD with a resolution of 921 thousand pixels with functional swivel, tilt the screen 90 ° up and 45 ° down. Image processing by the processor BIONZ, the possibility of which is enough even to record video in the resolution of 1920×1080 pixels at up to 60 frames per second (AVCHD Ver. 2.0) and continuous shooting at up to 10 frames per second in this Sony NEX-6. Camera sensitivity range is limited to ISO 100 and ISO 25600. 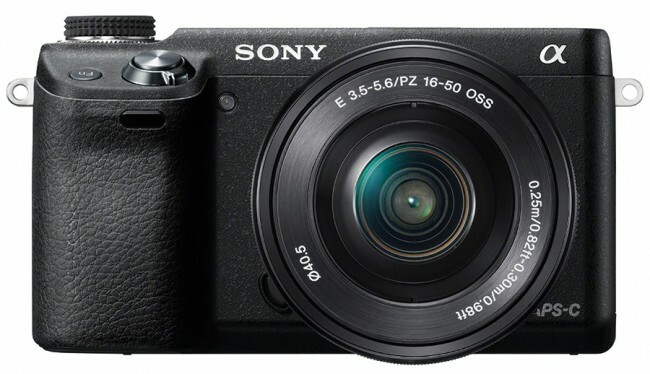 The device has a built-in flash, a hot shoe, interfaces, USB 2.0, HDMI and used the bayonet E.
The recorded footage in Sony NEX-6 is saved to memory cards SD / SDHC / SDXC or Memory Stick Pro Duo / Pro-HG Duo. On one charge of the complete battery can take up to 360 shots. Weight of Sony NEX-6 with batteries installed and the card is 345 g, dimensions – 119.9 x 69.9 x 42.6 mm. Together with the camera Sony announced three new lenses to mount E: SELP1650, SEL35F18 and SEL1018. The first will be bundled with the camera and a simple zoom 16-50 mm F3.5-5.6 with optical image stabilization. It is lightweight and the size (length at wide – 29.9 mm). Lens with a fixed focal length SEL35F18 (35mm) is allocated a maximum aperture of F1.8. SEL1018 place for fans to take pictures: focal length range of 10-18 mm, the maximum aperture – F4. Both also contain modules of optical image stabilization. Cost of new products is $ 350, $ 450 and $ 850, respectively. In the U.S. market Sony NEX-6 complete with lens SELP1650 will be offered for $ 1000, only the “trunk” will cost $ 850.